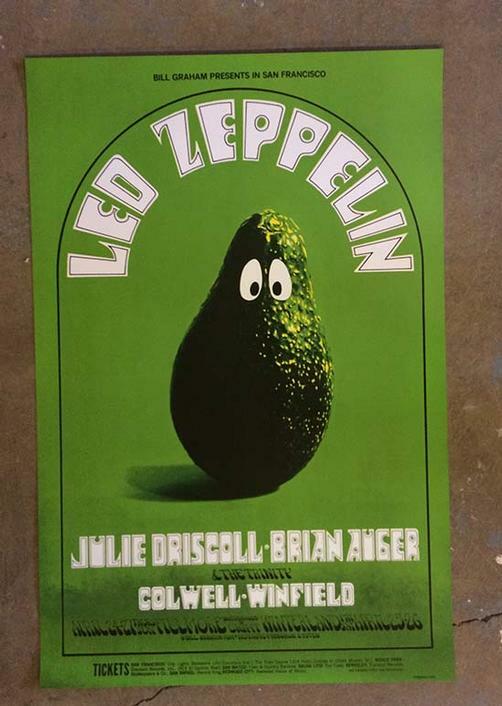 Official 4th printing concert postcard for Led Zeppelin and Julie Driscoll at The Fillmore West in San Francisco, CA in 1969. 21.5 x 32.5 inches. Artwork by Randy Tuten.